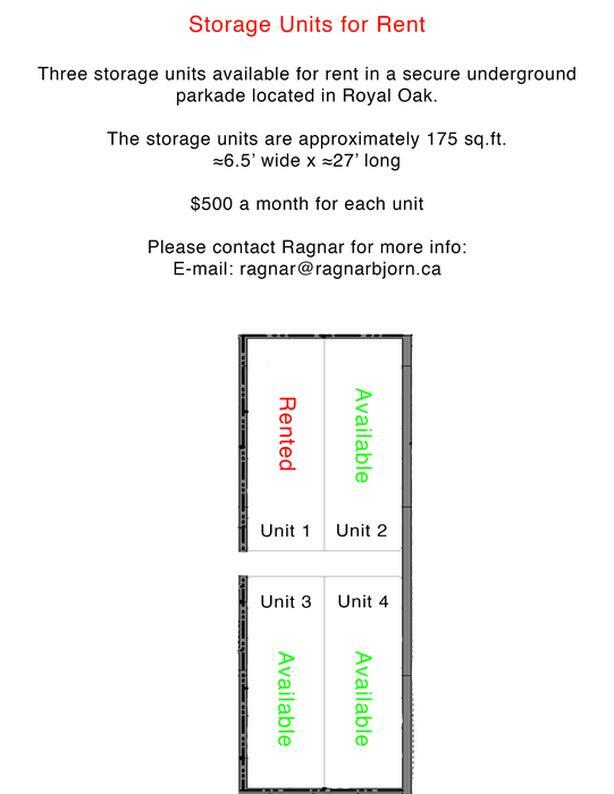 Three storage units available for rent in a secure underground parkade located in Royal Oak. The storage units are approximately 175 sq.ft. $500 a month for each unit.